Plastics additives manufacturer Baerlocher (Unterschleißheim / Germany; www.baerlocher.com) is spending USD 30m to double production capacity of its Mumbai-based Indian subsidiary up to 2021. The first phase of the expansion is due to be completed in mid-2019. The German company, which regards itself as Indias largest producer of PVC stabilisers, said the investment demonstrates its commitment to the buoyant Indian plastics industry, supporting its growth and allowing plastics processing industry customers to make the transition towards sustainable calcium-based stabiliser systems for all PVC applications. 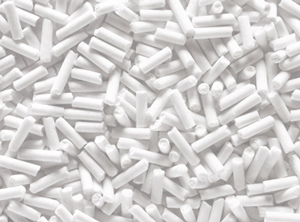 The company has been active in India since acquiring the plant at Dewas, near Indore in the state of Madhya Pradesh, in 1999 from National Peroxide (Mumbai, Maharashtra / India; www.naperol.com). It now claims to have the most diverse product range for all PVC stabilisers as well as CPVC applications, including various intermediates, lead and calcium-based solid one-pack PVC stabilisers and a wide range of liquid stabilisers. Phase one of the ongoing expansion will include a new warehouse and also lead to an immediate increase in Baerlochers lead and calcium-based stabiliser production capacity. A recent purchase of land adjacent to the current facility will provide the base for the next phase, which will see construction of a new plant dedicated exclusively to producing the stabilisers and metal stearates. A research and development laboratory is also being established. With demand for PVC in India growing annually at an estimated 7-8%, driven by growth in the agricultural and infrastructure sectors, Jayen Modi, managing director of Baerlocher India, said the expansion plans show the company is committed to its customers and supports the governments Make in India campaign. Looking at the investment from an ecological standpoint, Arne Schulle, CEO of the Baerlocher group, said the additives manufacturer is at the forefront of sustainability development with established value-oriented solutions.